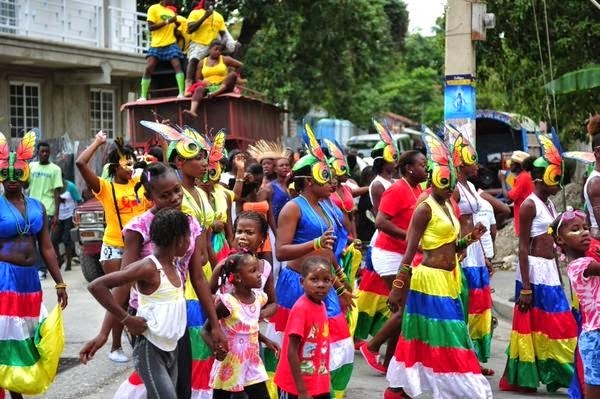 The country of Haiti suffers another tragedy the week of Carnival, where a highly decorated float hit power lines by accident, causing deaths and the cancellation of the last day of revelry. 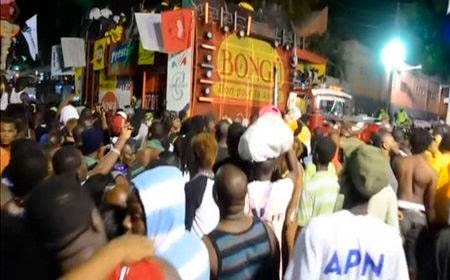 At least 17 people were killed and nearly 80 injured on Tuesday when a singer on a carnival float hit an overhead power line in Port-au-Prince, resulting in a stampede by bystanders, Reuters reported. The accident prompted the Haiti government to cancel the last day of Carnival - celebration preceding the start of Lent - and to declare three days of national mourning. Fantom, part of the hip hop band Barikad Crew, was among the injured and was in stable but serious condition in a local hospital, one of his friends told Reuters. Carnival organizers held a silent parade to remember the dead, with marchers dressed in white. Haiti's three-day annual street parade occurs with other Mardi Gras celebrations around the world, attracting large nighttime crowds to witness competing bands atop decorated floats. At Brazil's Carnival, three men were electrocuted on Tuesday when they pushed a float toward a parade ground and it struck a high-tension power cable, police told Reuters. Authorities canceled Carnival festivities after the accident. Meanwhile, thousands of people in Haiti's capital attended a public funeral for the 17 people who died at Champ de Mars park in Port-au-Prince, according to the Associated Press. Many mourners wore white T-shirts that read in Creole, "In good times, in bad times, we're all Haitians."